Provide comfort for the family of Bettye Gray with a meaningful gesture of sympathy. Bettye Jayne Gray entered eternal rest, surrounded by her three children, on Sunday morning, January 6, 2019 in Edmond, Oklahoma. She was 95 years old. Bettye's legacy will be forever honored by her three children, Milton Reese Gray, Jr., Gregory Dean Gray, and Bettye Katherine Taylor; her grandchildren, Christopher Reese Gray, Kristina Kaili Burns, Harrison Gray Wilson, and Reade Browning Wilson; and four great grandchildren, all of whose lives will be enriched by her memory. She was born Bettye Jayne Dean on Christmas Day 1923 in Ardmore, Oklahoma to Sula Maria Schulte and Otto Lee Dean. They and her only sister, Katherine VanDyke, preceded her in death. After graduating from Classen High School in 1941, Bettye began college at Anderson University in Anderson, Indiana and completed her Bachelor of Arts Degree in English at Oklahoma City University in 1945. Bettye met Milton Reese Gray, Sr. in Oklahoma City and after a two year engagement they were married at the Shartel Church of God on June 28, 1946. They embraced the teachings of that church, where they raised their children, and remained Oklahoma City residents their entire lives. They later attended its mission church, Belle Isle Community, now known as Crossings Community Church where Bettye worshipped until her health failed. Bettye and Milt's lives were filled with cruises and international trips, as well as many vacations with close friends and family. After 62 years of marriage, Milt preceded her in death in April, 2009. Bettye was a devoted mother and homemaker to her family. When her children grew older, she began a career in Government Regulations with Gulf Oil where she retired. She was an avid bridge player, prolific newspaper and fine literature reader, and crossword puzzle enthusiast. She was a strong willed, tenacious and elegant woman who strived to instill a sense of self worth and integrity into each of her children and grandchildren. She embraced Psalms 30, Verse 5 which reads "God's anger lasts only a moment, but his favor lasts a lifetime; weeping may stay for the night, but Joy comes in the morning." A celebration of Bettye's life will be held in the Chapel of Crossings Community Church, 14600 North Portland, on Thursday, January 10, 2019 at 10 AM, officiated by Pastors Marty Grubbs and Lance Ward. In lieu of flowers, memorial donations may be made to one of Bettye's favorite charities, give.water4.org. 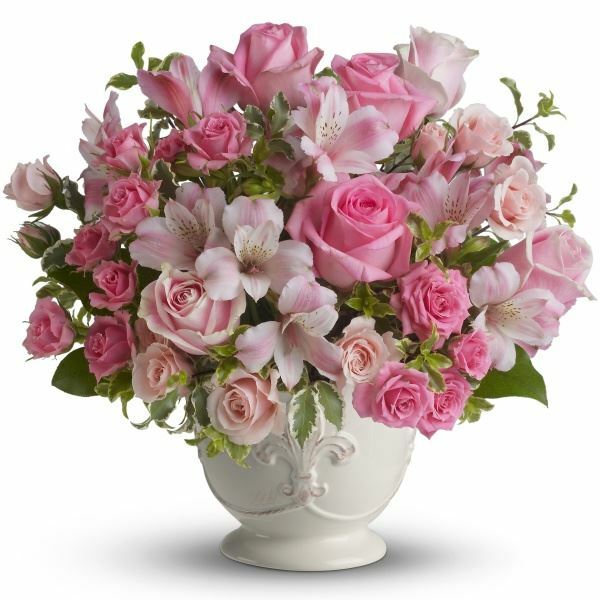 To send flowers in memory of Bettye Jayne Gray (Dean), please visit our Heartfelt Sympathies Store. Don boese sent flowers to the family of Bettye Jayne Gray (Dean). Don boese purchased flowers for the family of Bettye Gray.